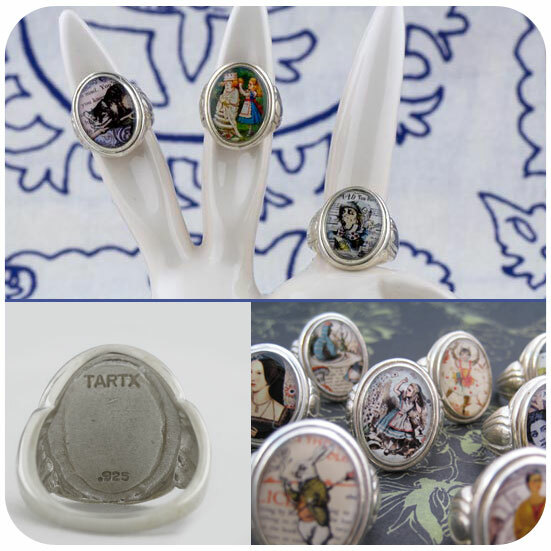 This elegant and collectible hand cast cameo style ring features an illustration and collage of mine of Ada Lovelace. She was the daughter of poet Lord Byron and mathematician Anne Isabella Milbanke and is considered the world's first computer programmer. 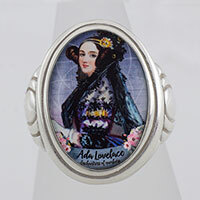 Due to her work on the Analytical Engine and her collaboration with Charles Babbage she is also often referred to as a prophet of the computer age. Occasionally, well more than occasionally someone exceptional just doesn't make it into our everyday history books. We're fan's of people getting their fair due and we're fan's of revealing those unsung individuals (oftentimes minorities!) who should be making it into our everyday history books. 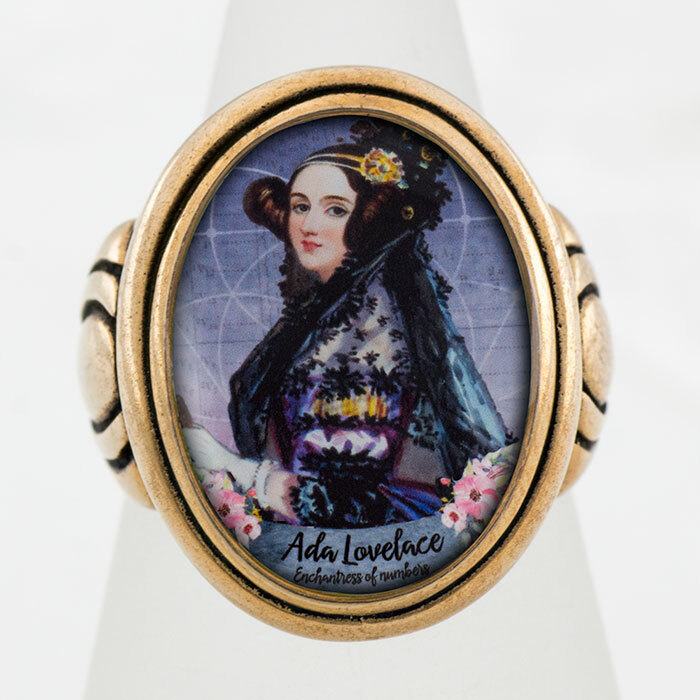 Ada Lovelace is a perfect example. Three Cheers for Ada Lovelace!